"Handy Photo editor on the move"
Similarity to Lightroom controls, apps available for IOS that makes it a great travelling companion. Quick and easy evaluation of photo dynamics and you can even overlay some text for clarification. Effects are great but can me more subtle with smaller incremental changes. An incremental de-haze feature like Lightroom will be great. Stepped undo for the last change will help with not having to reset everthing to start again. Great little app that is available on multiple platforms with virtually no learning curve. Been using it on my iphone X and PC with great success. Some form of perspective correction should be easy to integrate and will be of great value for architects and other professionals in the contruction field. The mobile connection allows you get a head start to upload photos to social-media and blogs and with the freebies and vector artwork you can enhance your presentation on the go. Would definitely recommend this app for it's ease of use, portability and flexibility in the field. Edit photos on the go to access color/saturation to determine whether a re-shoot is needed while on site. Upload directly to from my phone to the office for evaluation and prevent taking a second trip to site with instant feedback from all role players. Keepin our Facebook and Linkdn pages updated with the latest work is a lot easier while in the field. Large panoramic shots can be handles with ease. A quick and easy way to add filters to my photos. The only thing I don't like is not being able to download the desktop version anymore. Play around with all the filters and you'll soon find out what your favorites are. Once you get your few favorites, you can move those to the front of the line so you can quickly pick them out and get your photo ready to post. The frames and other effects are fun to play around with too and there are so many way to put them together, your photos will always stand out from the crowd. It's really easy to use to make my photos pop. First of all, it is very simple (not complicated) to use. I do find today's technology very fast moving so what I was looking was a easy to use service that would allow me to try or use e.g. fonts or graphics for free. Of course, there is very innovative service but it's price point does not seem to be over-fulfilled. I really appreciate the work they do! It is so easy to use that you find yourself surveying it all day. So, it is time consuming. I cannot even make decisions what to choose and that’s amazing for me as I am kind of person that does not like everything very easy. Just try it, everyone will love it. As most of you may know, thinking about idea and accomplishment are two different things. I do not have enough time to think and then make my own illustrations (which I do every day due to my job), so I log in, search and boom, job is done. Besides that, I save a lot of money. You could tweak your photos without any hustle. If you own a start-up company then Pixlr-o-Matic is a magic for your business. You could redesign your photos with it in order to publish for any social media campaigns. There are tons of templates which make it difficult to find your desired one. I don't like all of them but they come in bundles and you should download all related templates. It's a nice software to enlighten your photos. You could use it for your business or personal. Its autocorrect command works well enough to use this software. I personally use it to reshape my product photos. I use Pixlr-o-Matic edited photos in Canva. After that, I publish them to my social media accounts. More appealing photos mean more appealing customers. It’s a great app for quickly adding a frame, overlay, and/or color change to your photos. I like it’s simplicity and the ability to save my favorite combinations. If you’re looking for a full photo editing app, this is not it. It has very few options for altering your original photo, but the simple options make it great for adding a quick frame or simple effect. I use Pixlr-o-matic to add quick frames to my artwork photos, to show my clients how prints they buy may look in different colored frames. It adds a selling point to my art business. I also utilize the altered photos in social media posts to add interest and/or give a seasonal or celebratory vibe. For me, it is very important to adjust images, pictures and logos, and this program is just the best at doing it by giving me a lrge number of filters and tools. I also love the fact that you can add different lighting effects based on the type of image you are editing!! Unfortunately you can’t compare your old version to a newer one. But this is just minimal. I am taking the best advantages from Pixlr-o-matic’s effects at my job site where I use it to highlight images and other photographies. "Great to style your photos"
I have been using the tool for a short time now and it has done a great job for all the photos we needed to touch up and add effects to. I am pleased with the tool so far and will continue to use it. It isn't super robust you can get something much, but it is free so I understand why it is not as complex as some other tools out there. There isn't anything that is a big hangup for me does the job for our basic needs. It is a great photo editing app and what separates it from the crowd is the quantity and quality of the effects available within the app. It has a lot of effects and filters, more than a 100 of them. Apart from this, it has lot of other editing options as well. You can add borders, save images at original resolution and the speed at which it does all this is just great! I've not found anything to dislike or hate about this app. I use it as my default photo editing application in my smartphone for customizing and editing varieties of photos I come across. "Good for fast product photo editing for social media"
I like the variety of filters available, the interface, and the fact that the app is free. It makes posting edgy product photos quick and easy for my small business. I prefer having more control. Compared to classic pixlr, this is like a lite version with minimal flexibility, where I often need more of an all-in-one editing experience. It's making product photo advertising a quick rollover. I realized in the past I considered editing and posting to be a real holdup for my small business, but this helps me turn out a professional effect that's media-ready in moments. The app is simple and most of the screen is open for the image itself. The app is simple to use. A lot of picture apps have lots and lots of options which can overwhelm some people. This app doesn’t have that issue, but I would rather have more options. Editing pictures for social media posts and our website. "Best photo editor by far! " The fact I can edit photos for my website without having to pay the hefty fee! Nothing this is is exactly what I need all in one app! A reduction is cost since this application is free to use. It saves me money and the hassle of having to use a middle man to do the job for me. "Interesting product but not Unique"
Easy fast Polaroid like photo effect option. Not bad for a quick edit option for photos and snaps. Good filters. No option for writing text. Very limited color options and only preset filters. Definitely not a photoshop competitor (not even the free app version). When you need a quick Polaroid type filter it saves time over Adobe Photoshop. It is not a complicated site to use is very easy and useful to use. It helps a company to be able to sponsor their campaign. The photos end up looking great and the very end. It's very time consuming, but they have amazing templates and is just having to go through each one of them that makes hard in away. It's amazing program and many templates to use from. It helps the company on be able to get something done fast and makes the image look much better. Is just so easy and helpful! "Cute Overlay Options for Photos"
I like that there are a variety of overlay and border options you can quickly apply to your photo to jazz it up. There are different themes so you're sure to find the perfect choice(s) to use on your pictures. I wish they had the option to add text to your photos. I think that would make this program top notch if it had that ability. If I quickly want to add an overlay or border to my photo before posting to Instagram, this is the quick way to do it without compromising quality. "Best I’ve ever worked with"
It took some time to learn but once you learn it everything is simple. I’ve solved multiple animation problems that other sites couldn’t handle. Its a better, easier to use version of photoshop. Easy to use photo software for displaying business products and solutions. "Great for quick and easy photo editing"
Pixlr-o-matic is very easy to use and makes creating images for many different uses very easy! We are not using it for our current project, but we have used it in the past and enjoyed using Pixlr. There is nothing that we dislike about Pixlr at my company. It allows the process of editing and creating photos to be much easier. Great source of filters, easy to add - makes changing photos a breeze. Great quality! I wish the half-moon dial had some words when you hover over it to distinguish the different types of filters. Helping photos align with colour schemes on slide decks etc. - colour cohesion. "Excellent photo editing software, my go to! " easy to navigate software. lots of editing features to choose from. there isn't really anything to dislike. I do alot of printing and photo editing for work projects and this software makes editing a breeze. It's simple design makes it easy to navigate, learn, and use. There sometimes feels like there is something missing. Easy organization of various media. 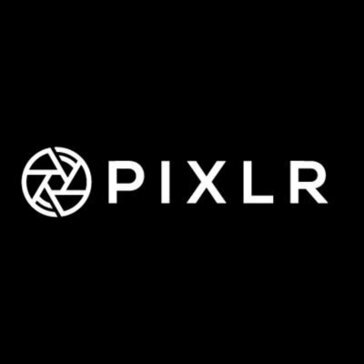 * We monitor all Pixlr-o-matic reviews to prevent fraudulent reviews and keep review quality high. We do not post reviews by company employees or direct competitors. Validated reviews require the user to submit a screenshot of the product containing their user ID, in order to verify a user is an actual user of the product. Hi there! Are you looking to implement a solution like Pixlr-o-matic?